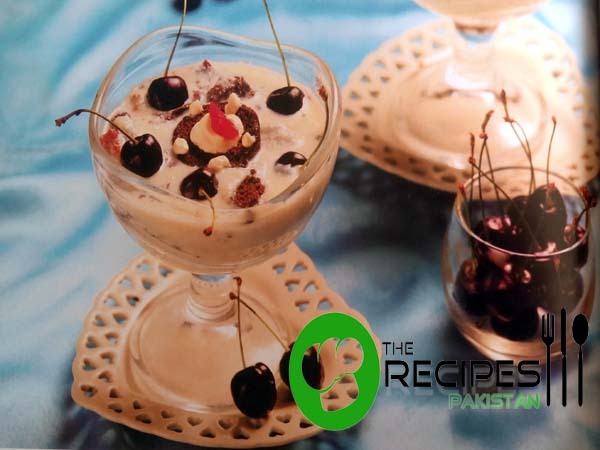 Turkish Trifle is different then other trifle because marshmallow and brownies added in this. Must try this dessert for a change in eating pattern . Cut marshmallow into small pieces. Put them in microwave safe bowl, add 4-6 tbsp water and microwave for 1 minute. Stir once in between. Boil the milk, when it starts boiling add sugar and cook until sugar dissolve then add custard powder mixture. Stir continually and cook until it gets a thick consistency. Add marshmallow mixture and remove from heat. Allow to cool. Cut brownies into small pieces and set at the base of serving bowl. Add orange juice/lemon juice in strawberry/cherry and slightly mach with fork. Spread it over brownies then pour cool custard mixture. Let it cool. Spread whipped cream over trifle and serve.